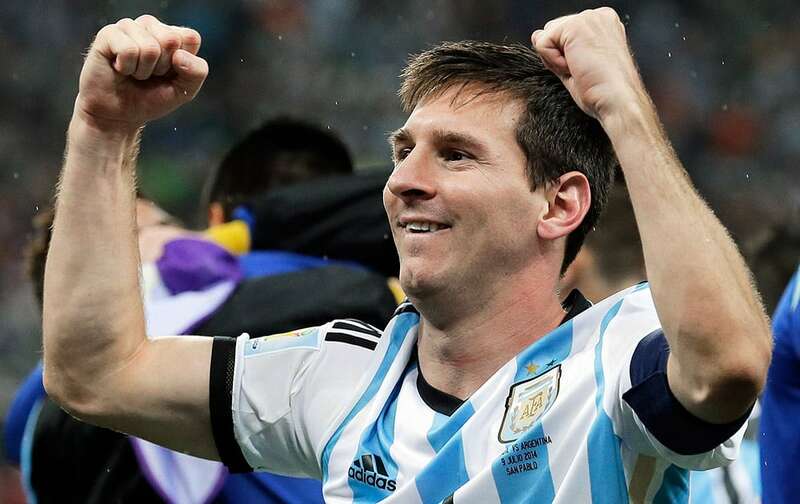 Argentina's Lionel Messi pumps his fists after Argentina defeated the Netherlands 4-2 in a penalty shootout after a 0-0 tie after extra time to advance to the finals after the World Cup semifinal soccer match between the Netherlands and Argentina at the Itaquerao Stadium in Sao Paulo Brazil. 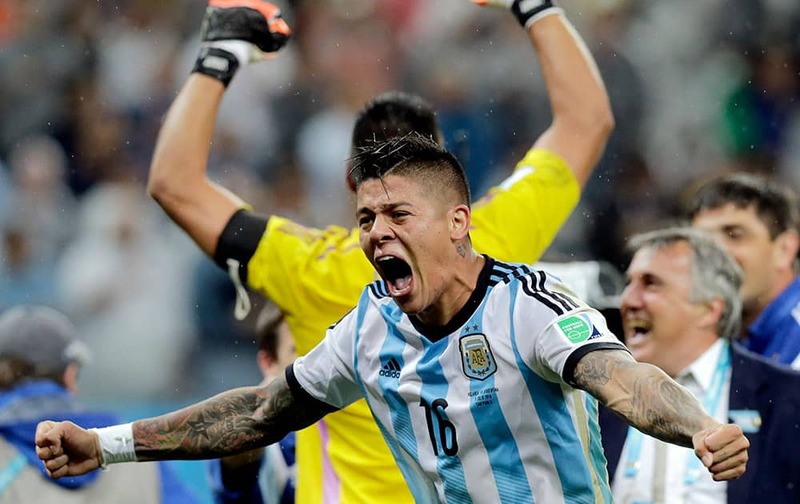 Argentina's Marcos Rojo celebrates after Argentina defeated the Netherlands 4-2 in a penalty shootout after a 0-0 tie after extra time to advance to the finals during the World Cup semifinal soccer match between the Netherlands and Argentina at the Itaquerao Stadium in Sao Paulo Brazil. 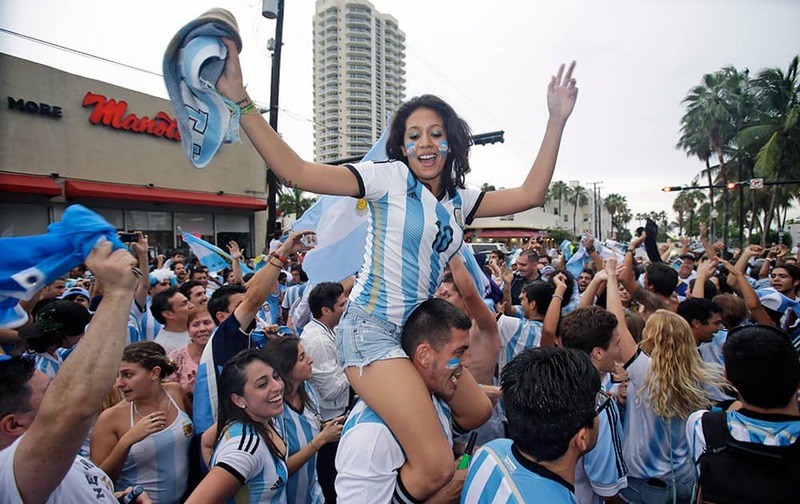 Soccer fans celebrate outside Manolo Restaurant in Miami Beach, Fla., after Argentina defeated the Netherlands 4-2 in a penalty shootout after a 0-0 tie after extra time to advance to the finals. 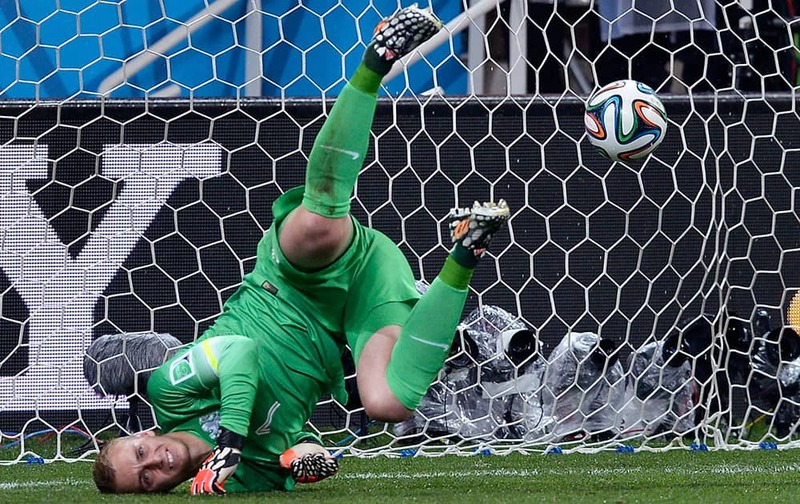 Netherlands' goalkeeper Jasper Cillessen fails to make a save in a shootout at the end of the World Cup semifinal soccer match between the Netherlands and Argentina at the Itaquerao Stadium in Sao Paulo Brazil. Netherlands' Ron Vlaar reacts after missing his shot during a penalty shootout after extra time during the World Cup semifinal soccer match between the Netherlands and Argentina at the Itaquerao Stadium in Sao Paulo Brazil. 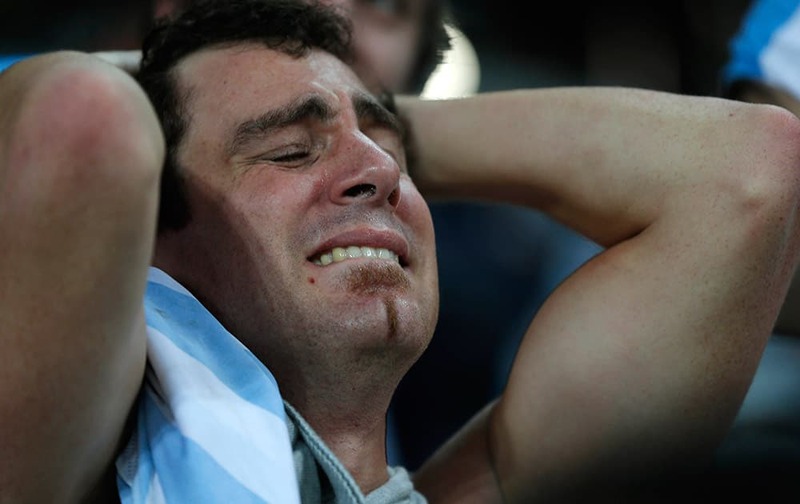 A fan of Argentina cries in disbelief over his team's victory over the Netherlands after the end of the semifinal match at the Itaquerao stadium during the 2014 soccer World Cup in Sao Paulo, Brazil. 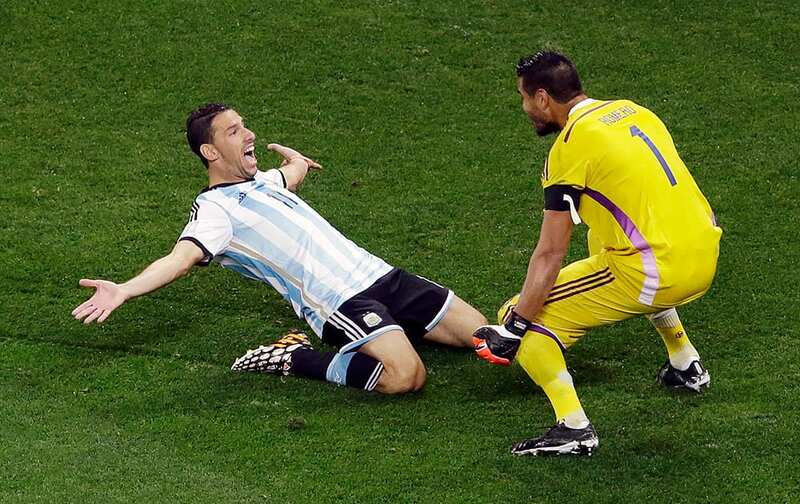 Argentina's Maxi Rodriguez celebrates with Argentina's goalkeeper Sergio Romero after scoring the last penalty during the World Cup semifinal soccer match between the Netherlands and Argentina at the Itaquerao Stadium in Sao Paulo Brazil. 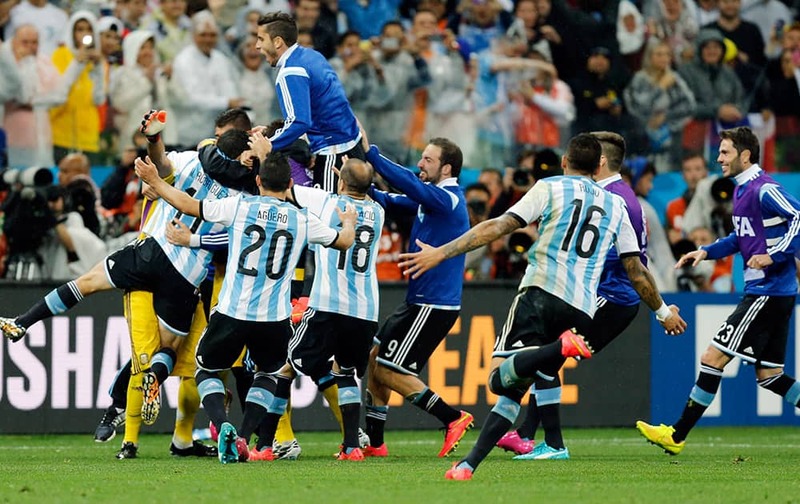 Argentinian players celebrate after the World Cup semifinal soccer match between the Netherlands and Argentina at the Itaquerao Stadium in Sao Paulo, Brazil. 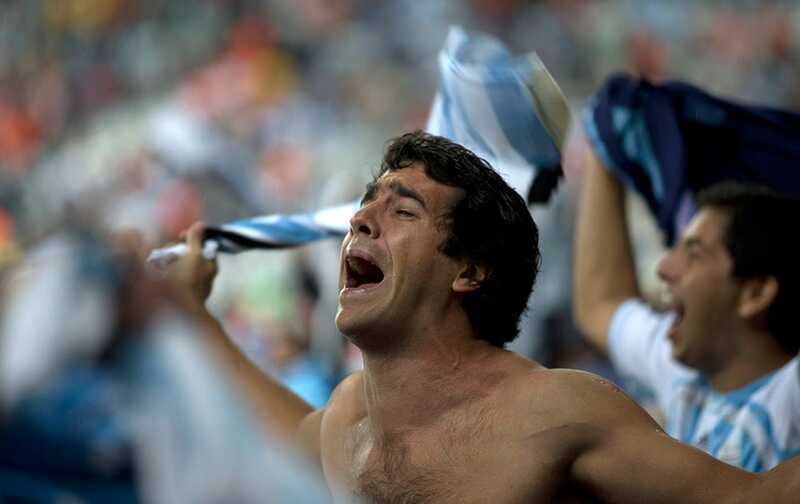 A fan of Argentina celebrates his team's victory over the Netherlands after the end of the semifinal match at the Itaquerao stadium during the 2014 soccer World Cup in Sao Paulo, Brazil.